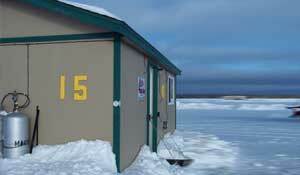 You won’t find nicer fish houses on any lake! Our Deluxe Fish Houses are as cozy as your living room. Our roads are well-plowed and clearly marked and can be accessed with a car, truck or four-wheeler. 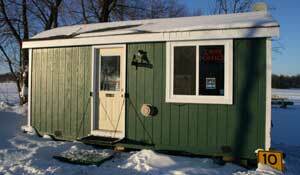 We are located in Isle, MN on the southeast side of Lake Mille Lacs. We are proud to offer Da Boathouse Bar and Restaurant onshore. Always friendly & fun, you can find a great steak dinner or a quick burger. On weekends they feature karaoke. Come watch the game, or enjoy pull tabs, game room & pool table. There’s always fun times & great meals cooking at Da Boathouse! Call for Availability and Reservations! Rent for 12 hours anytime after 7:30 am. These houses do not have beds or cooktops in them. 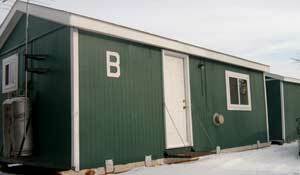 Each has an indoor bathroom & chairs, wall-mounted furnace. 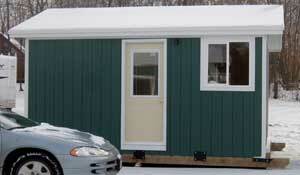 Ask about our Buy 1 Day Get 1 Day FREE Weekday Specials on our sleeper houses! Cancellation Policy: Refund requires 10 days PRIOR to arrival; subject to a $25 service charge. Sorry, No refund for cancellations made less than 10 days prior to arrival. Note: 110V appliances will not work. House is wired for 12V only. Check in anytime after 12 noon until 6 pm. Check out 11 am. Need Bait? License? We don’t sell fishing licenses or bait. Pick up bait & license on the way, as we don’t sell either. 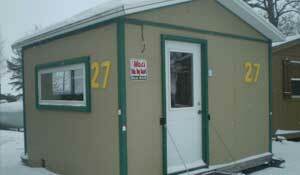 Local bait shops include Trailside Bait on 47 just south of Isle and Johnson’s Portside on 47 just north of Isle. You can also go to the DNR Website, where you can check out prices and order your license online. You can also find non-resident pricing there. 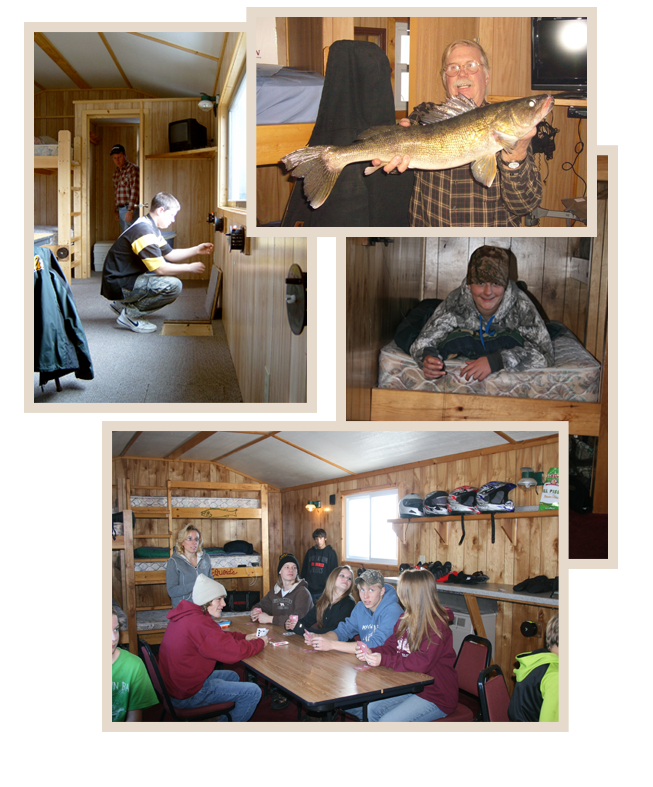 Mac’s doesn’t offer on-land lodging or snowmobile rentals, but McQuoid’s Inn does! Located just 2 miles down the road, you’ll find great service and values!